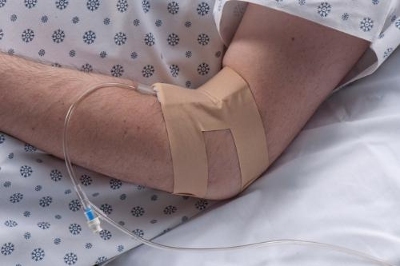 US-based Dale Medical Products has introduced new IV-ARMOR, a solution that will help to overcome clinical challenge, IV occlusions. Dale’s protective overlay allows in maintaining IV patency, by avoiding the need of a stiff immobilizing device, as well as covers the IV site comfortably, and helps patients to move freely and clinicians to access the site easily for inspection. The inventor of IV-ARMOR Andrea Wilborn said that it is a problem that interferes with patient care, which every nurse has to deal with on a regular basis. "The key to addressing this issue was maintaining the right balance of preservation with flexibility so patients can be protected and continue their activities of daily living. That’s exactly what IV-ARMOR does," Wilborn added. The new protective overlay will also maximize continuous IV flow even during patient movement, said Dale. In addition, the product decreases health risks by reducing risk of infection associated with IV reinsertions through maintaining patency. Dale Medical Products president John Brezack said: "Dale’s IV-ARMOR is the perfect example of how the company is committed to collaborating with healthcare practitioners to create truly innovative products." Image: The new Dale IV-ARMOR flexible and protective overlay helps minimize occlusions and maximize patient comfort and security. Photo: courtesy of PRNewsFoto/ Dale Medical Products.